Looking for a simple and straightforward guide for adding podcasts in your eLearning course? In this article, you'll find all of the information you need to start integrating cost efficient, convenient, and high quality podcasts into your eLearning deliverables. I'll offer some invaluable tips and advice on how you can add podcasts to your eLearning courses, regardless of the subject matter or target audience. There are a variety of reasons why you may want to consider adding podcasts to your eLearning course. From increased learner engagement to enhanced knowledge retention, the benefits of integrating podcasts into your eLearning course are well worth the time and resources that you will invest. After all, eLearning podcasts can give you the opportunity to make learning fun, informative, and exciting for your learners, not to mention more effective. Brainstorm to generate ideas or topics that are both relevant and entertaining. Before you even begin to write the script and record your eLearning podcast, you'll want to think of ideas or topics that you consider as valuable and entertaining for the learners. You want to keep them engaged and get them excited about the eLearning podcast, which means that you'll have to come up with an idea that offers them some sort of benefit and isn't redundant or boring. Gather a few ideas, even if you have to enlist the help of a subject matter expert in the field, and then decide which one you should lead off with. For your first eLearning podcast, try to keep things simple, while still offering your learners invaluable information, so that you avoid cognitive overload. You may be tempted to include as much knowledge, tips, or lesson points as possible, but bear in mind that there will be future eLearning podcasts in which you can explore the topic further. Gather the necessary eLearning podcast creation tools beforehand. Figure out which tools you are going to need before you move on. Do you have a microphone that is going to help you to produce clear quality sound? Do you have the free podcast tools that can handle the editing and rendering process? All of these tools will help you to create a winning eLearning podcast without breaking the bank. A good microphone can be purchased rather inexpensively, and there are a variety of free audio tools you can use to take your recording to the next level. Create a script or outline to streamline the process. Even if you aren't planning on writing out a script, it's still a good idea to at least have an outline that can help keep you on track during your eLearning podcast recording session. Within this outline you can jot down any important lesson points or topics you want to cover, invaluable resources or references you'd like to mention, as well as a brief overview of how you'd like to structure your eLearning podcast. For example, you can break the outline down into bullet points so that you know which topic you'd like to cover first and which you'd like to cover later, as you move forward. This gives you the opportunity to avoid awkward pauses or constant recording breaks which can make the editing process a lot easier. Do a practice run before you start recording your eLearning podcast. It's always wise to do a practice run before you start recording the real thing, as it will allow you to iron out any issues that you hadn't expected. For instance, during your practice run you may discover that the room you are using has too much background noise, or that you need to move away from the microphone in order to reduce vocal distortion. Doing so, will also allow you perfect your tone and pace. Keep in mind that your first eLearning podcast doesn't have to be perfect, but avoiding these common pitfalls can help you to significantly increase your production value. 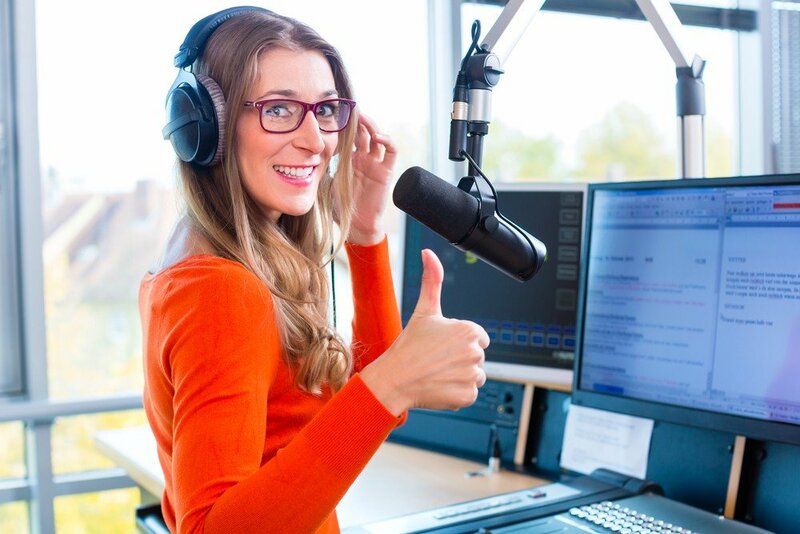 Use free editing software to enhance the professionalism of your eLearning podcast. There are a variety of free editing tools that you can use to make your eLearning podcast sound more professional and polished. Audacity is one of the most popular options, which you can download and use absolutely free of charge. This software will give you the opportunity to remove clicking, background noises, adjust volume levels, and even add vocal sound effects. It's relatively simple and straightforward to use, but there is a bit of a learning curve so you may want to read up on the software or use it ahead of time in order to get familiar with the features and functions. You are able to upload your raw recordings into the editing software or record tracks within the software itself, enhance them, and then export your creation in a number of different formats. Consider a variety of delivery methods. You may want to offer your eLearning podcasts via a number of delivery platforms. Rather than just offering it on iTunes, you may want to also include download links for your eLearning podcast directly within your eLearning course or eLearning site. This will give learners the chance to have immediate access to the eLearning podcast without having to click away. You can also create an RSS feed that lets learners know when you've uploaded a new eLearning podcast, which can be a great way to get the word out if you are planning on a series of eLearning podcasts. With a handful of tools, a bit of “know-how”, and this article at-the-ready, you can start creating eLearning podcasts that will offer your learners a top notch learning experience. One last tip that I'd like to leave you with, is to ensure that your eLearning podcast links are always active, and to share your link as much as possible with your learners. Put in your forum signature, tweet about it, and start building the buzz for your eLearning podcasts. If you're in search of free podcast tools that you can use to begin creating engaging and entertaining eLearning podcasts for your learners, you may want to check out the article Free Podcast Tools, which highlights the best free podcast production tools that you may want to consider. In addition, if you want to learn more on how to produce good quality audio narrations, I encourage you to read the article 6 Tips for Producing Good Quality Audio Narrations Every Online Educator Should Know About, where you will find invaluable tips to help you produce your audio narrations. Last but not least, at the article 5 Tips for eLearning Voice Recording you will find some helpful eLearning voice recording tips to plan for your next eLearning project. They might help you get a much better voice recording or at least avoid problems.